Kombu is an edible kelp species from the familial background Laminariaceae and is consumed or used in East Asia and coastal regions like the Northern Califonia Coast. 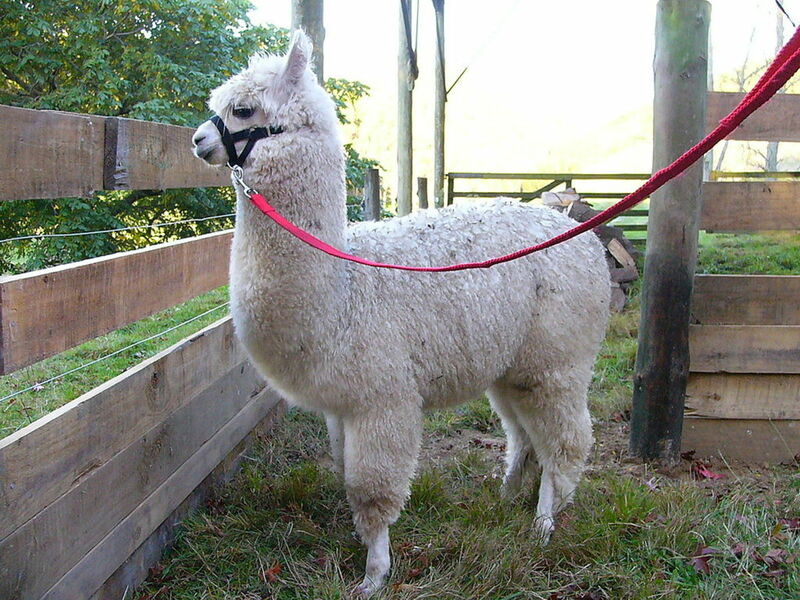 It may also be referred to as dasima or haidai. Kombu releases the rare Umami flavor into dishes when cooked in a soup broth or deep fried to make kombu chips. Personally, I like to dry my Kombu first, after its fully dried and stiff it should change color to a darker purple, proceed to grind or blend your Kombu until it is pureed, lastly add your accompanying dried herbs and spices. Shake Well! Here we have a "hanging style" of drying seaweed and creating fresh sun dried Kombu that will last many years if stored properly. Kombu is a vital nutritional seaweed that is found of the coast of Japan and Northern California. 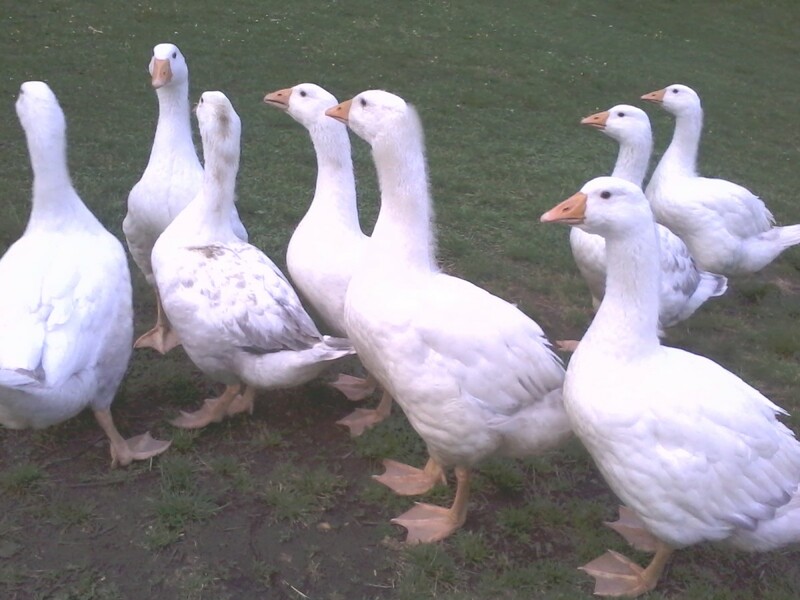 Foraging depends on the laws in your local region. Always consult local government first. This is an extremely fun pastime and a great way to start a new hobby or bring a rare ingredient to your special dish at home. Never forage for seaweed near a city or facility that sits on a waterway. Always check reports on water health in the area as well. When the proper organization has given you the information you need, ask these questions and bring these tools. Here we have a Kombu forager in Japan. Off the northern shores of Japan Kombu grows up to thirty feet in length and is a vital source of income for local fishery populations. Nets have been drawn out of placed to create a safe barrier over the Kombu. How much seaweed can I legally forage? What tide pools is seaweed foraging aloud at? 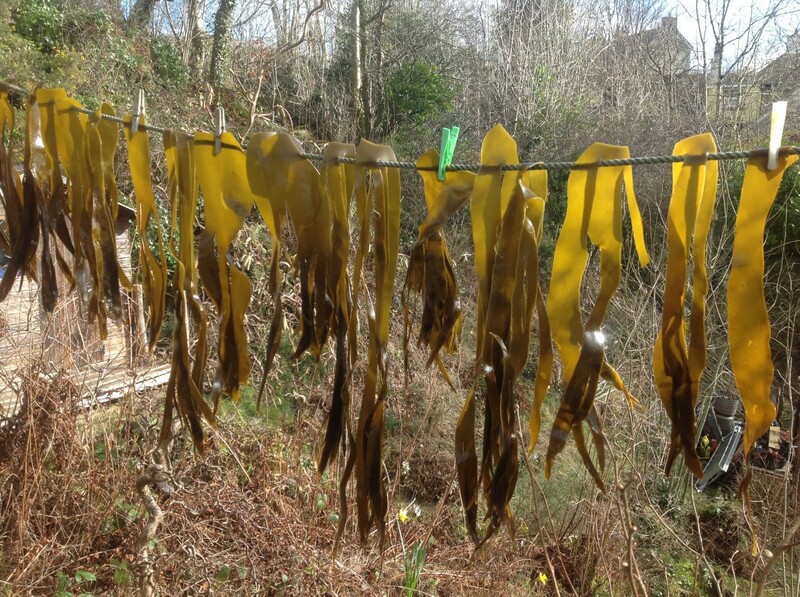 Where are the beaches that allow seaweed foraging? Is the water safe in that area? This person is foraging seaweed off of the Northern California coast at low tide. The black rocks are extremely slippery and watch out for clams, mollusks, and other shelled friends. 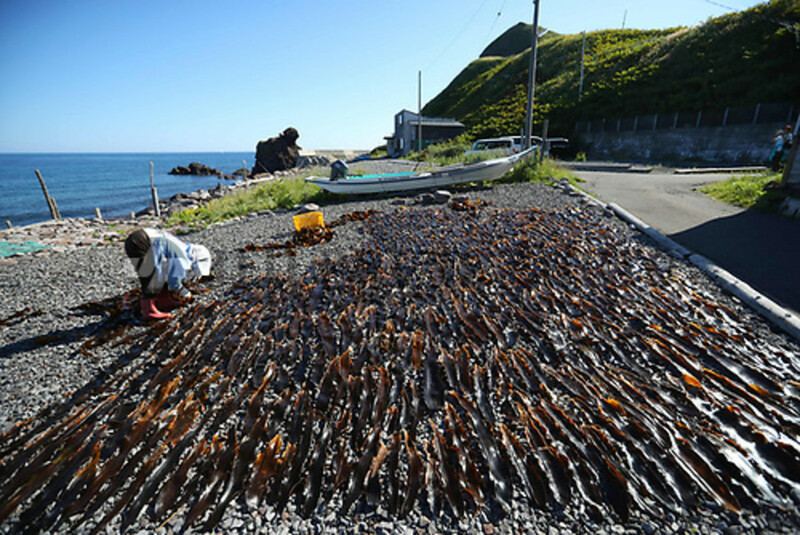 Kombu grows abundantly in coastal regions. Off the coasts of Japan is the most notable place that Kombu is sourced and Northern California as well off the Sonoma, Mendocino, and Humboldt coasts. Kombu grows inside the tide pools and can be reached at low tide. The low tide comes twice a day. Once in the morning and the other in the afternoon. 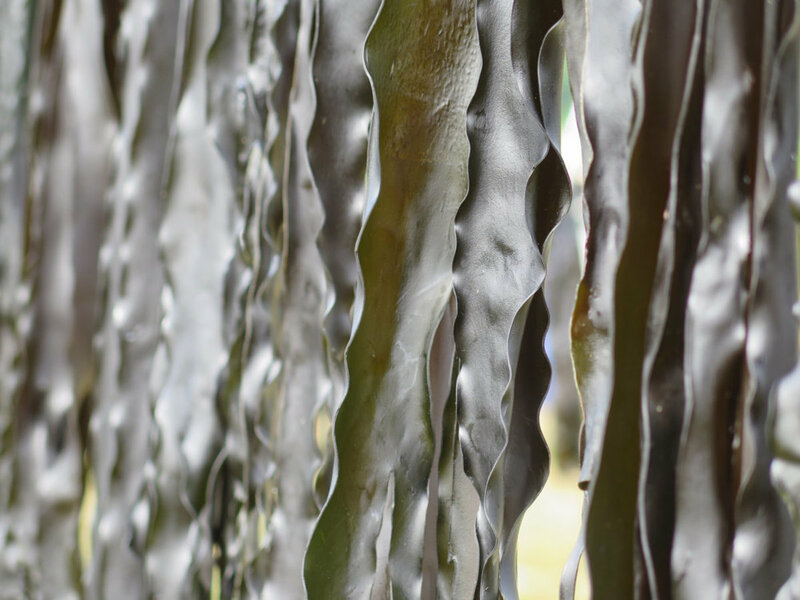 The "lay down" method of drying is a classic approach to drying your Kombu. Build a net to dry your Kombu as well as keeping it from touching the ground. Kombu is commercially sold because of its added content to dishes by the release of the Umami flavor. 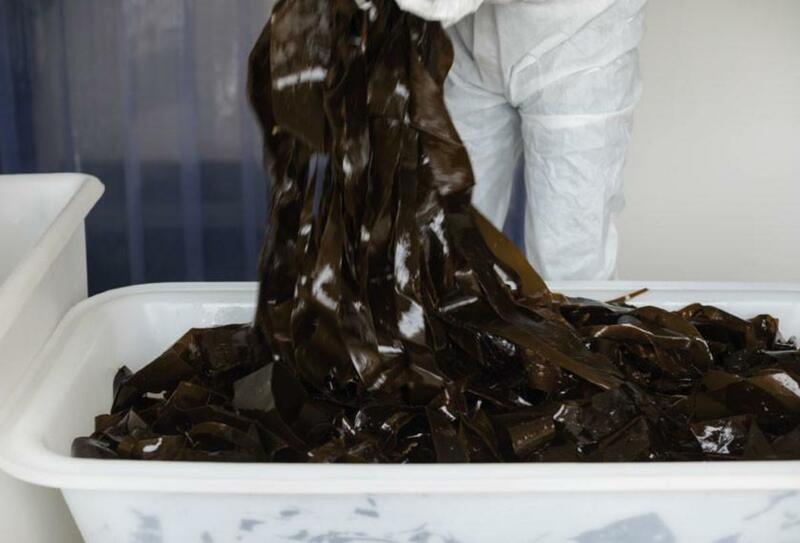 Here we see Kombu being prepared to be packaged in a facility. 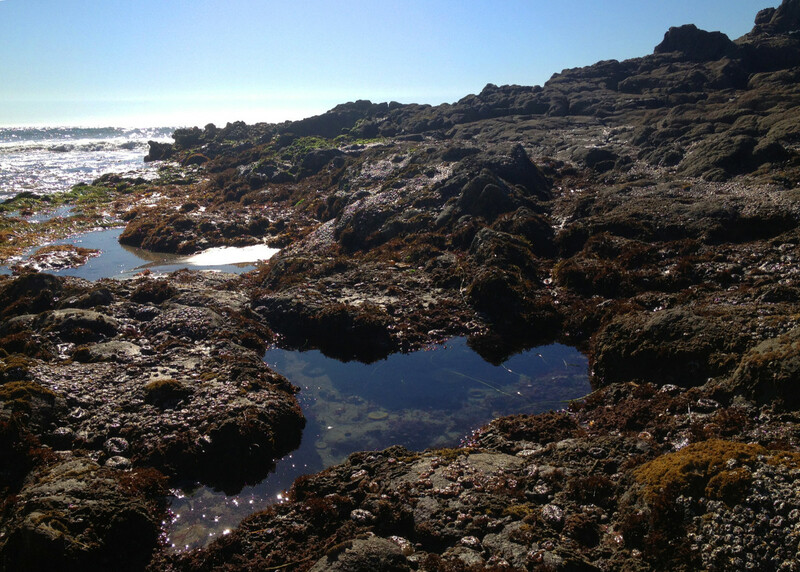 Tide pools and kelp forests have a very specific purpose that is vital to the natural biome of the ocean. Marine life uses seaweed and other algae as away to protect itself, live, and nourish itself. Without kelp hundreds of species of fish and crustaceans lose their home and their life. Never over harvest your kombu. Take as much as you need to eat so you can keep coming back to collect it. Severing the fronds too low will kill the Kombu so only snip the fronds like hair. 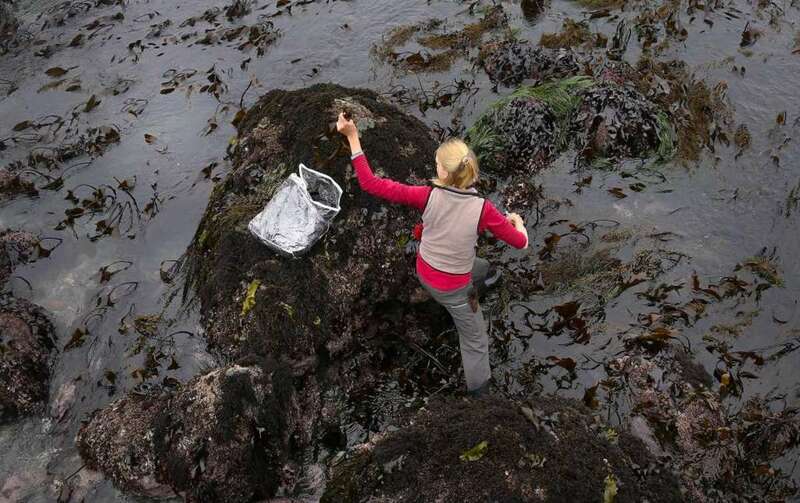 Tide pool conservation should always be your number one concern when foraging for seaweed. It can be a bountiful and beautiful place if you can keep if that way. Leave no trace or track when harvesting your seaweed. Fiskars The Original Orange-Handled Scissors, 8 Inch blade is among the top tier of scissors and can handle any amount of force inflicted upon it by the ocean. For foraging, optimization standards have become an increased priority and the only way to go is with Fiskars as the most durable trusted choice. I go weekly seaweed foraging for restaurants and this is the only style I use. Left-handed is my style and they have a pair that is fit perfectly for me.